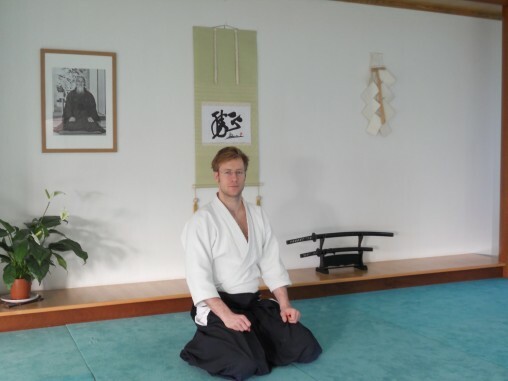 Scott Reed began his aikido training with Laurent Haquin in Edinburgh. He trains under the direction of Toshiro Suga and Jacques Bardet, both 7th Dan and senior students of Tamura Nobuyoshi Sensei. He spent 6 months in Paris training full-time in Aikido and regularly returns to France to train. Scott regularly attended seminars with Tamura Sensei until Sensei’s passing in July 2010. Scott received his 1st, 2nd and 3rd Dan Aikikai from Tamura Sensei. In July 2011, Scott was awarded his 4th Dan by Yoshimitsu Yamada Sensei, 8th Dan. In January 2017, he was awarded his 5th Dan by the Aikikai Foundation following recommendation by Toshiro Suga.